I’m friends with a fellow whom I’ll call Milton. He isn’t dumb, but he’s usually a couple beats behind in a conversation. Worse, he doesn’t take his lag into account. He jumps in with irrelevant questions, he sums up what you’re saying and gets it wrong — things like that. One day we were talking about the girls who work in the cafes where we hang out; that’s a favorite topic, of course. I told him about Emily, who was greatly loved and admired before she went home to Vancouver. She worked the early morning shift, so Milton had never met her. Emily had a fabulous, sunny personality and greeted everyone walking thru the door like they were an old friend. The old Quebecois gents — retirees or fellows headed to work at 7 in the morning — would all call out “Abientot, Emily, au revoir” as they left, and she would give them a big wave and smile. Very sweet. She was also very good looking, in a blond, broad-shouldered, farm-girl way. A lot of times people say “big boned” when they mean fat. Emily actually was big boned. I made the above points to Milton. “… when they mean fat, but she actually was big boned,” I said, winding up. Tithes too Hot to Touch, a 17th-century pamphletbook warning against state meddling with the Church of England’s assets. It was believed that a divine curse would afflict the meddlers down to the third generation. “The Frog Is a Deadly Weapon,” an episode of the Green Hornet tv series. Very 1966 and camp. “So Tender, So Profane,” a drama vehicle for Desi Arnaz. It ran on The Desilu Westinghouse Playhouse in 1959, with Barbara Luna as the girl. Shouldn’t be good. The scene in Back to School where Sally Kellerman, as the brainy English professor, recites Molly Bloom’s soliloquy from Ulysses. String music throbs in the background; the moment is very much in the spirit of classics-really-are-fun. But I guess that’s a fair point, classics are fun, because the moment connects. I haven’t seen much of Sally Kellerman’s career, but someone who can extend from the Starfleet ensign in “Where No Man Has Gone Before” to Lt. Houlihan in Mash may have some solid professional gifts. She looks like an odd being, a show biz apparition, but apparently she’s sane enough about doing a job. She’s game and comes thru fine in Back to School, like Ronald Reagan coping in Bedtime for Bonzo. Rodney Dangerfield, the star of Back to School, is all right, but so was the monkey. Either way, the rest of the cast has to do a lot of pretending about the job they’ve landed in. They’re stuck in a stunt movie, and in it they’re below the level of foils. Instead they’re just an excuse, part of the flimsy cover story to convince us that Rodney Dangerfield on screen for 90 minutes is the same as an actual movie, with characters, plot, etc. 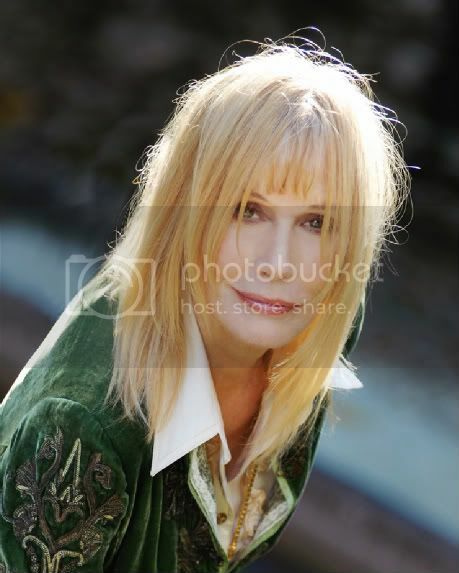 Sally Kellerman, whose demented-show-dog looks might cause you to think she was flakey or spoiled, rose to the occasion and delivered a decent performance. Ancient clip. Because I like it so much, the mashup that turns The Shining into a feel-good trailer. This entry was posted on Sunday, July 25th, 2010 at 9:35 am	and is filed under Blog, Film.